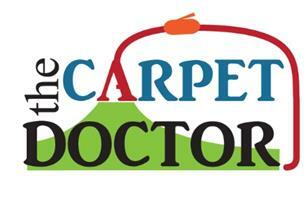 The Carpet Doctor - Cleaning Services based in Newcastle upon Tyne, Tyne and Wear. Established 2006 our friendly firm has been providing excellent results for over a decade now. As the years have went by of course our learning and understanding of the processes used in the industry has grown massively. When we started we had a one way fits all approach results were often good but there would be times now and then where we felt we had been found lacking or just knew there must of been a better way. It was this feeling that then led us to our greatest leap forwards. This was to first of all find out about and then immerse ourselves in the great big world of carpet cleaning and related industries outside of our little man with a machine and a van bubble. We started attending conventions, training with industry leaders, learning different approaches for different situations , building up a arsenal of different machinery and chemicals so every situation commercial and domestic would be able to be treated the way is should be and not just the only way we knew up to that point. Most importantly of all we started making friends! A whole network nation wide working with each other to help and advise each other. Our success rate at achieving great results every time shot through the roof as we helped others also! When you provide a great service from first call to aftercare people pass this trust on and soon you end up having cared for carpet & upholstery for half the family!